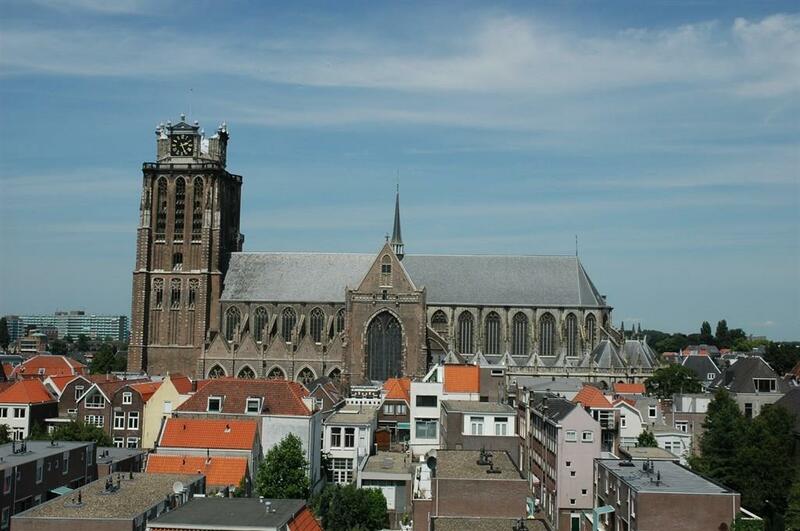 The Grote Kerk, the Great Church, is the most well-known monument of Dordrecht and a landmark in the city. A striking feature is the leaning tower, which houses the 67-bell carillon. The church is built on the site of an early medieval chapel and assumed its current form at the end of the fifteenth century. Things that stand out in the interior of the late gothic church are the choir stalls decorated with carving, the brass choir screen, the mahogany pulpit, the organ,the chapels and the stained-glass windows. The Mariakoor with its star vault is the oldest part of the church. It takes some energy, but after a climb to the gallery of the Grote Kerkstoren, the city lies - in miniature - at your feet. The view of the city and the rivers is fantastic. The construction of the tower, which with the spire was intended to rise to 108 metres, started at the beginning of the fourteenth century. Subsidence during construction meant that the original plan had to be scrapped. For the lovers of facts: the tower is 2.25 metres from the vertical, the spiral staircase has 275 steps, the clock faces were installed in 1626 and the carillon has 67 bells. And don't forget that view! Church: Nov-Dec (untill the Christmas market) tu-th-sa 14.00-16.00 hour. Tower: Nov-March Sa 13.00-16.00 hour.